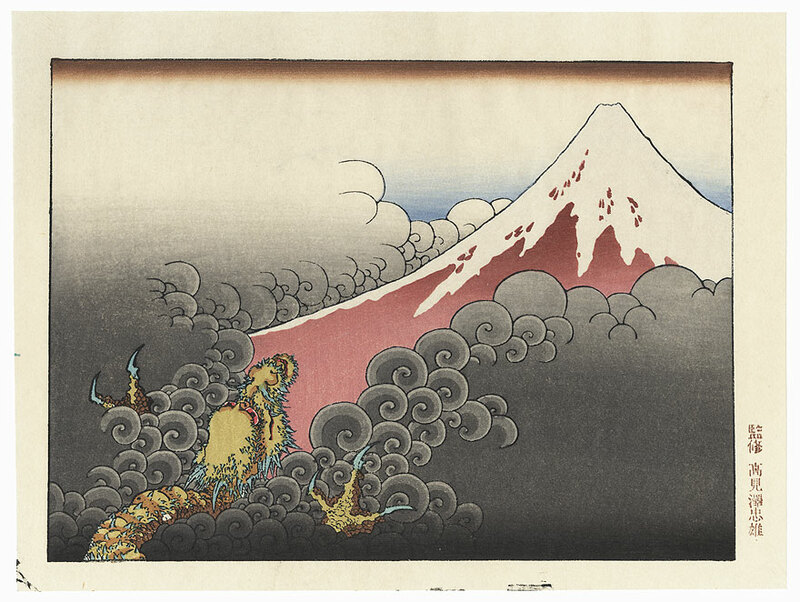 Fuji and Ascending Dragon - Fantastic image of a fierce dragon emerging from its watery lair amidst swirling gray clouds as it ascends Mt. 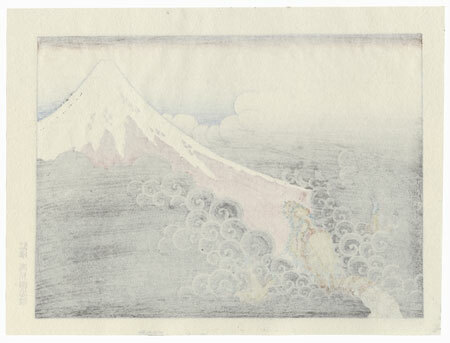 Fuji, a scene which has become a metaphor for success. 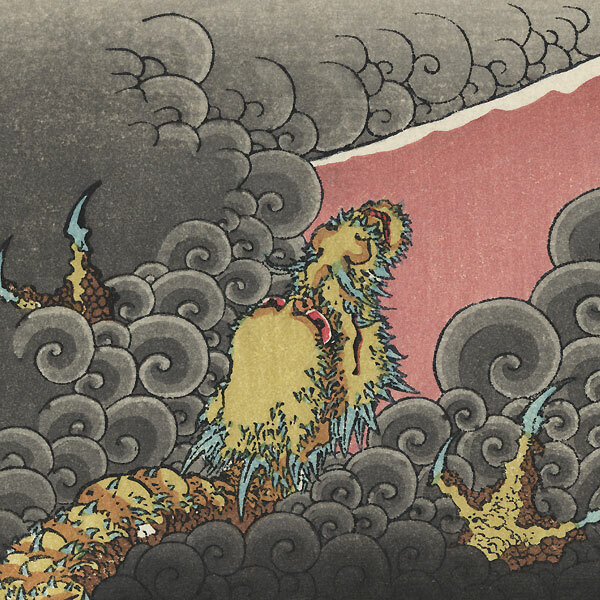 A wonderfully dramatic design with fine bokashi shading.